Although the action that took place on the field was not the most memorable the fixture received national coverage not normally seen at this level due to Brechin keeper Graeme Smith originally going to Ochilview in error and having to make a dash north so he could take his place before kick off. Hopefully Stenhousemuir supporters will take positive thoughts out of a game where two players made their Warriors debuts. In goals was Matthew Gould who had signed an emergency loan from Livingston as Jamie Barclay was suspended and Dean Shaw injured. The rules state that there must be two keepers in the match day squad hence Gould’s signing and although it seemed hard lines for Sean Robertson to stay on the bench after his performance the previous week his time will come. The other debutant, though only for a brief spell, was 22 year old Harry Monaghan the ex-Hibs youth player having returned from a spell in Iceland with Vikingur. Although both teams tried hard to get the opening goal neither keeper was tested in the opening stages. Brechin came close a couple of times through Isaac Laing but his efforts missed the target as did a Willie Dyer drive that struck the side station. At the other end an Alan Cook free kick caused problems and Stuart Malcolm shot just wide with an overhead kick. Eventually though the deadlock was broken and it was the visitors that took the lead. Jason Scotland won the ball in the centre circle and drove forward before picking out Colin McMenamin who picked out Cook who shot first time into the net. Moments later the home side saw a penalty claim turned down and to make things worse Jonathan Tiffoney was booked for simulation. The second half had barely started when Brechin struck the woodwork with a David Bates header from a corner kick and their supporters celebrated shortly afterwards when Andy Jackson fired home. The whistle had already blown for offside though. 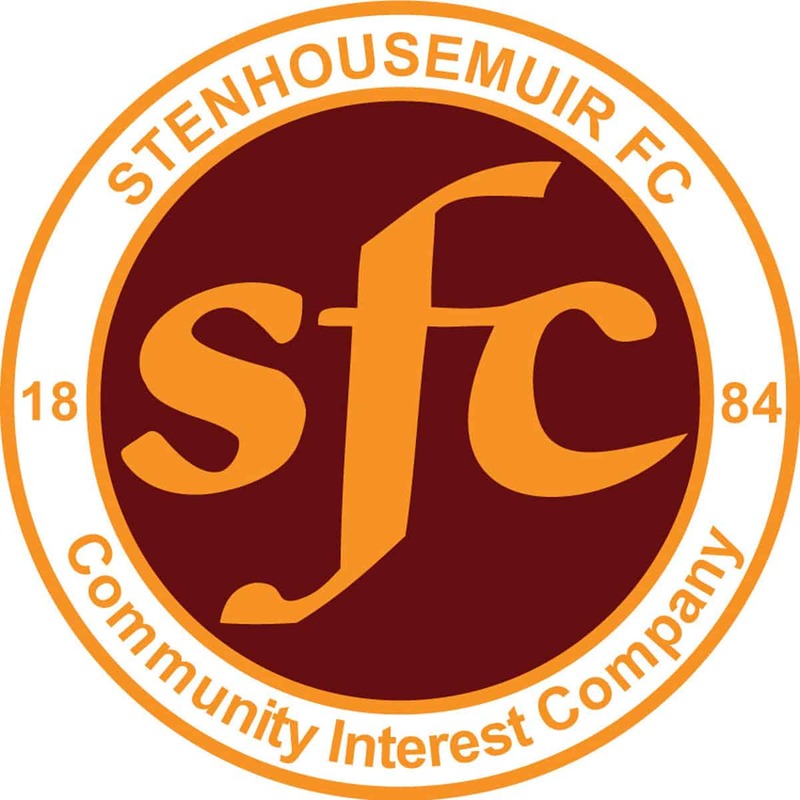 Stenhousemuir for a brief period were getting success down their right flank and twice Mark Gilhaney picked out McMenamin in the middle, the first header was clutched though by Smith without too much difficulty and the second went just the wrong side of the post. Brechin equalised in the 72nd minute through dangerman Layne who benefitted from poor defending to set into the middle to thunder a shot into the net though there was a slight deflection that maybe hindered Gould. Three minutes later they almost took the lead with another corner causing problems and Bates was denied by a Gould save at close range. At that stage the momentum appeared to have swung Brechin’s way but the Warriors dug in and they took the lead once again in the 80th minute. A Jason Scotland free kick hit the defensive wall and McMenamin was able to react quickly and tuck the ball into the net. Brechin appealed for offside but it was more in hope than reality and video evidence backed up the assistant referee on this occasion. With the game in stoppage time Dyer spoke out of turn just after he had missed a good chance to equalise and was duly cautioned, he must have continued in the same vein though as within seconds he received his marching orders. The game ended with the Warriors victorious after a battling performance that showed that they would not be bullied when the game became tousy for a while and this would have pleased the management almost as much as the win.